Anytime you use the Text tool or Pen tool in Illustrator, there’s a good chance you may have created a Stray point in your file. Using the Text or Pen Tool, if you simply click somewhere in your document, then choose another tool, you end up with a Stray point. Accidental Stray points are also created when you try to delete line segments (they connect two anchor points) while using the Direct Selection tool (white arrow),instead of using the Selection tool (black arrow). Stray points occur in InDesign and Photoshop as well, just not as frequently as in Illustrator. Removing these extra and unwanted points and paths is important, to prevent any possible errors on your data, and easy to do! From the menu up top, select: Object > Path >Clean Up. This will open up a small window where you can select what type of items you would like to clean up. If there is nothing to clean up, Illustrator will display an all-clear message indicating that where was nothing to clean up. 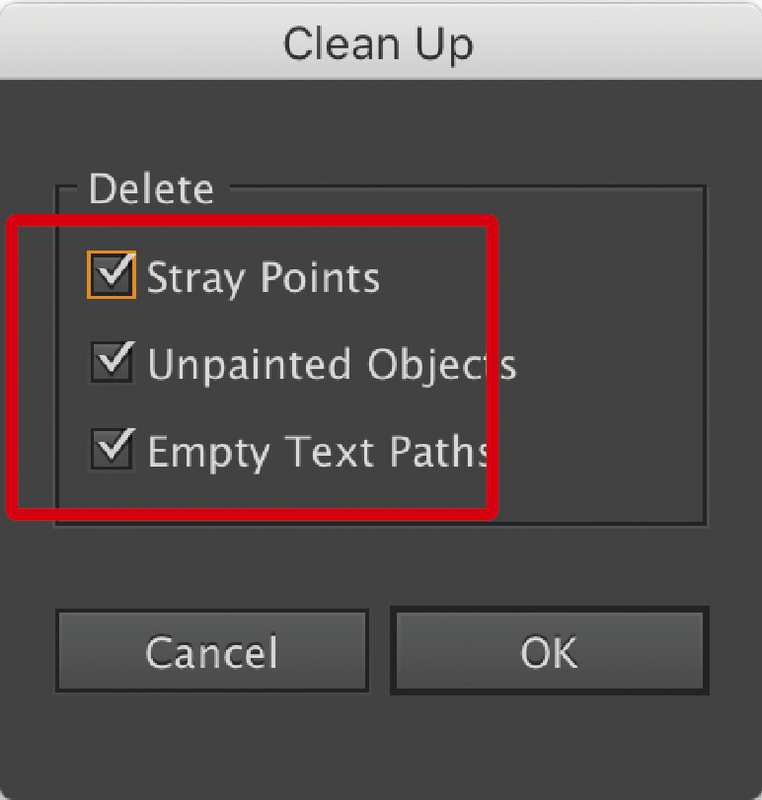 If you do have stray points or text paths to clean up, Illustrator will just delete them, no confirmation message will be displayed.